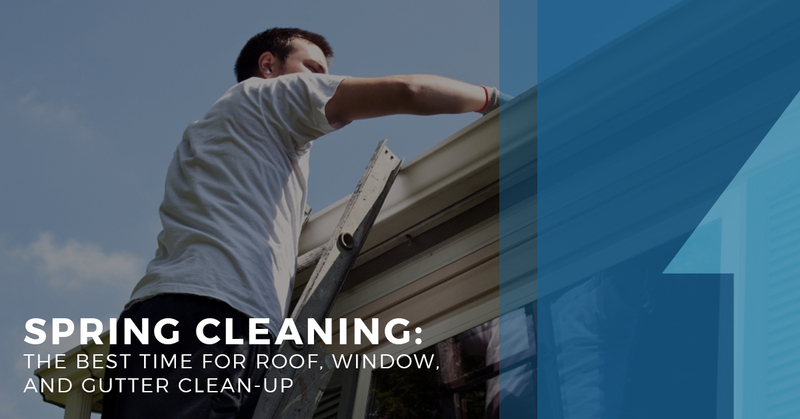 Ideally, spring is the best time to get started on your outdoor cleaning and repair checklist before the hot summer season begins. A few ideas include a roof and leak check, roof and siding repairs, window gap repairs, and gutter cleaning. Let’s spring into gear. Whether you had roof damage and need roofing repair or replacement, you can hire a contractor like UpWright Restoration Services LLC for an inspection and other roofing services that protect your home’s value. Do you have an asphalt shingles roof or asphalt shingles that look like slate? Maybe you searched for “roofing contractors near me” to schedule an inspection or an estimate. Shingles should be inspected annually to determine the roof’s age. Generally, asphalt roofs last 15-20-years (without regular care) and 25-30-years with regular maintenance by a roofing professional. Shopping for new roofing companies? Twin Cities residents use UpWright Restoration Services as their go-to roofing contractor. Schedule an inspection today. Did your home suffer hail damage? The June 2017 hailstorm wreaked havoc particularly in the North Metro region, and approximately 40% of homeowners there still haven’t repaired or replaced their roofs even though their homeowner’s insurance generally covers it. Do you need to start a hail damage insurance claim? Claims can be time-consuming, but roofing companies like UpWright Restoration Services offer prompt service to assist with repairs and claims and invoicing your insurance company both for the cost of the roof replacement as well as any recoverable depreciation after the work is completed. For shingle repairs, roofing contractors can provide estimates. When you check the price, you’ll find that asphalt shingle pricing varies depending on the scope of your project, including replacement materials that you select. You can discuss the cost of roof repair with your roofing contractor who can help work within your budget. Looking for the best roofing companies to change the color of asphalt shingles? Twin Cities homeowners typically use spring to change or upgrade their shingle styles and colors and to explore installation options. You may want to switch to architectural asphalt shingles or newer composite shingles that can increase your home’s value at resale. Installing asphalt shingles can take about a half-day to a day. The cost to install asphalt shingles varies depending on the style and roof size, but we’d be happy to get you a quote for your home. Does your home have vinyl siding that needs to be replaced? In looking for the best siding companies and pricing the cost of vinyl siding, think about new vinyl siding colors that are aesthetically pleasing. If you’re worried about vinyl siding cost, Home Guides estimates vinyl siding can increase your home’s value by 78%. Have a high energy bill? You may want to replace your windows. Maybe you searched online for “window installation near me” or “contractors near me” and want to schedule a window installation consultation or set up a replacement window installation service. Window installation cost varies on the brand and any additional work, such as insulation or molding. Consider new bay windows or picture windows that can increase your home’s value while adding some extra aesthetic appeal. Need to install gutters? When hiring a roofing company or contractor, have them inspect your rain gutters. Gutters installation, inspection, and repair are all important to keep rainwater flowing off your roof and into downspouts instead of into your home. Installing gutters as replacements can further reduce your flooding risks. If your energy bills are high, a patio door replacement can stop gaps in the door from letting drafts in and cool/warm air out. Consider patio door replacement glass with blinds to block out the sun’s rays. UpWright Restoration Services offers a wide variety of patio door manufacturers including Andersen, Jeld Wen, as well as custom solutions to suit the specific needs of your home. With so many great projects to manage, not only will you increase your home’s curb appeal, but you’ll be ready for summer! In business since 2017 but with strong leadership who has been a licensed residential building contractor since 2005, UpWright Restoration Services is part of the National Roofing Contractors Association, the Better Business Bureau, and is an EPA Lead-Safe firm. When shopping for the best roofing contractor, Minneapolis homeowners rely on UpWright for repairs, inspections and renovations. Contact us today!